Check out our 2 minute craft from My Craft Channel today. 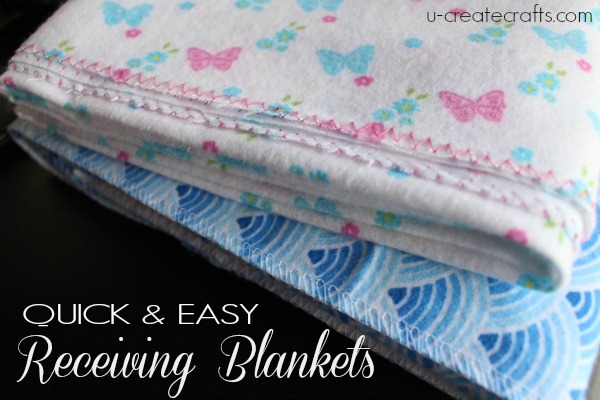 Today we show you how to make one receiving blanket in 2 minutes…well, almost 2 minutes. These would be great in a bundle for a new mom gift or even as a service project for hospitals and shelters. These blankets are especially great for summer because they are very light and thin. 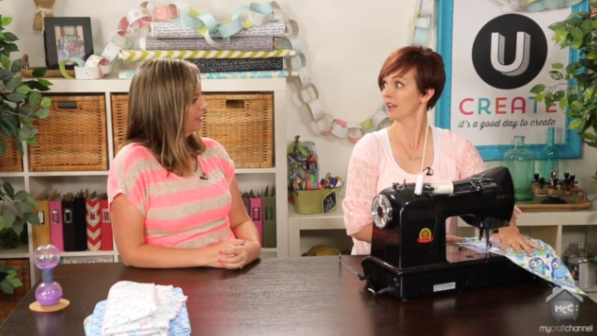 Just grab some snuggle flannel, scissors, and your sewing machine. Also, comes see what Kari says that shocks even me, Becky. I’ve been doing this for 37yrs!!! Only I don’t do zigzag around the edges, I do double fold under around the edges. For my first son, I actually crocheted a shell stitch around the whole blanket. Son #2 didn’t get that luxury, just sewn. I now have 3 grandchildren with 1 on the way, they each have about 7 of these receiving blankets. I learned this from my Mother when I was preggos the first time, she said “Leila, you can sew, just go down to Newberry’s & buy a yd & 1/4 of flannel, hem the edges & you have a blanket the baby can use a couple of yrs”. My Mom did this for the 4 of us kids that she had, who know maybe my GrandMother told her this……. For my Twin Grands I have made many many burp cloths from buying the flannel remnants at Joanns (no more Newberrys)….they like to hold them. My daughter inlaw tells me that a LOT of people ask her where she got the girls blankets & burp cloths from, she just tells them “My Mother inlaw makes them”. I’ve made these already for the new GrandSon on the way, I made him 5 blankets……we are ready for him. I just have to finish crocheting his blankets.